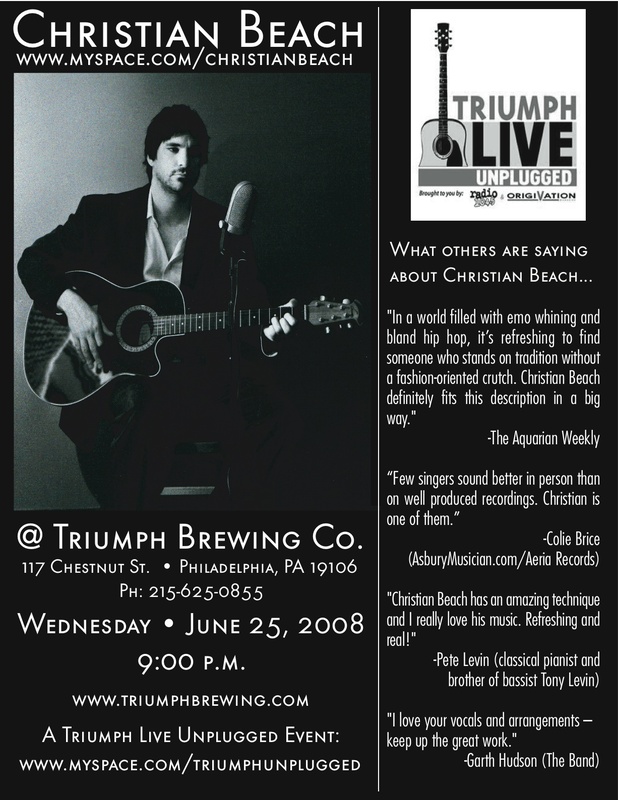 New Jersey singer-songwriter Christian Beach will be performing a solo, acoustic set at Triumph Brewing Company (aka Triumph Brew Pub) at 117 Chestnut St. in Philadelphia on Wednesday, June 25, 2008. He will be taking the stage shortly after 9 p.m. The performance is part of the weekly Triumph Live Unplugged series.